I was at a camp in school and we had gone to Mahabaleshwar, and we were sitting out and talking the whole night, and at around 4 a.m. he leaned over as i was talking and kissed me. it's been so many years now.. but though we broke up, that moment is still one of the most special ones of my life. 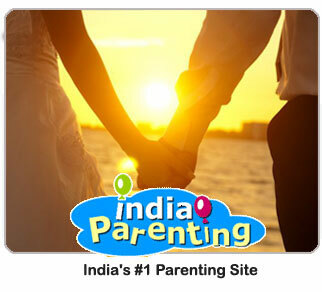 It seems most of the people who visit this site are either married or in a relation. Then why do we have so less response in this \";first-kiss\"; section ? It would be great if more people shared their experiences. It would be a help for youngsters like me who are new to the world of love and relationships. All I know about it is what I see on the idiot-box. While taking any step towards physical intimacy, it feels a little insecure coz i feel like i am the only people who is indulging in such things, maybe everyone else is doing it only after marriage. Thats the kind of mindset you get being born in an indian home with conservative parents. And inspite of being over 20, i still get these doubts because though I am gifted to have nice and loving parents, they would never approve of their daughter indluging in such things. I tried discussing abt this with friends, but such discussions abt personal matters is difficult. Anu	lalitha replied. Yes it's very true. I still remembered my days. While I was talking to my boyfriend he held my hand and kissed. Yes its true that you said. For girls its always very difficult to forget the first kiss or first affair, but then for boys every kiss is fresh and every affair is new so they don't realize all these things. So don't bother much about it, concentrate on your work. I too had my first kiss....wjile kissing my partner passed his salaiva to me.....i havnt heard abt it...is this usual???? hi anu, i am an indian woman. happily married. i had my first kiss when i got engaged, with my hubby. it is not right in our culture to indulge in reckless things before marriege. but believe me it is good to wait for someone whom u love. to share intimate moments. only then it is fulfilling. don't break ur parents guidelines. and wait for right person to come along. a sensitive person for sensitive moments. I can understand that you cant discuss all personal things with friends unless they are like very understanding and close.. I am also like new to all these things and still now i have a thinking that even kisses are to be exchanged only with whom u really love.. Yes it's very true. I still remembered my days. While I was talking to my boyfriend he held my hand and kissed. I still remembered till today even though it has been 7 years. Now he's my husband & we been married for three years and blessed with a kid.